Triple rubber coated top jaw creates drag on the top of the snakes body for secure holding. Lower jaw is outfitted by a rubber cushion, reducing snake´s ability of forward motion. The 5,7 cm wide gentle grip disperses pressure over a greater surface area of the snake´s body, eleminating the possibility of direct pressure between individual ribs, and reducing the risk of muscoloskeletal injury. 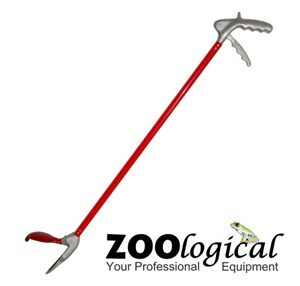 This tong allows faster gripping which is a great advance when handling or capturing species of water snakes and tree dwelling snakes which are notourisly fast and difficult to restrain, lessing the chance of injury or escape. Constructed of red high grade aluminium tubing featuring a concealed (non visible) stainless steel cable. 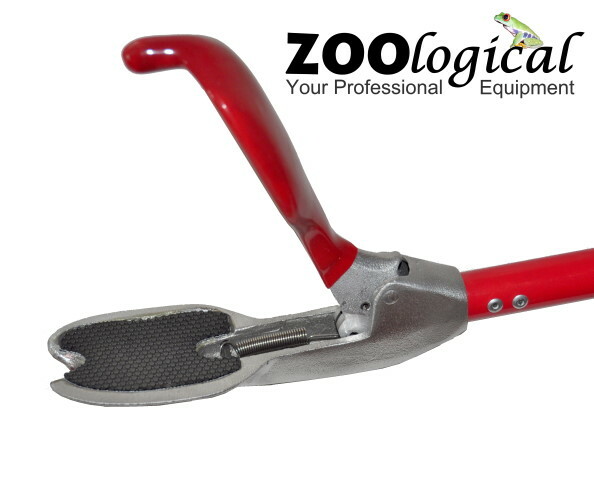 Test results have shown that this tong eleminate stress in many situations, allowing the animal to be handled in a more relaxed state compared to other tongs currently available in the reptile industry. 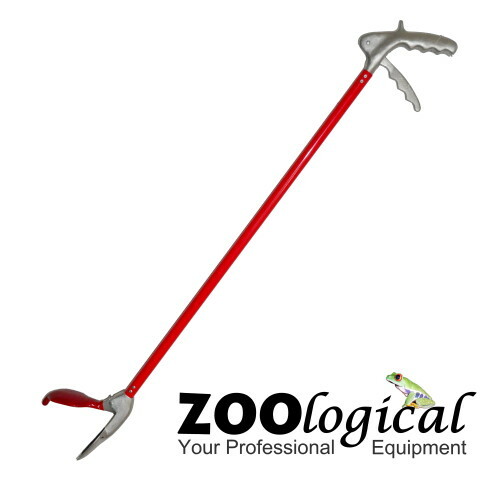 Some species that react radically to capture by regular tongs have proven to be less combative when restrained by our Snake Tong made by Zoological! This item will protect you by handling with agressive and dangerous animals - and safety first!